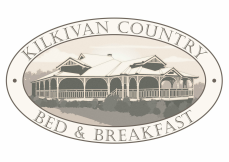 Reward yourself by booking your Kilkivan accommodation at this private, elegant retreat. Set on 3 acres well away from highway noise but still close to all town facilities and attractions, this historic house is the perfect choice for guests wanting to get away for a relaxing break or those wanting to break a long trip by checking into a convenient, comfortable over-night stop. We are only a short drive from the Sunshine Coast and Fraser Coast and offer a unique experience which appeals to all sorts of people. Come and see why…we are sure you’ll love it too. We also have another beautiful property available to guests just 10 minutes out of town - it's an idyllic spot to sit back and relax while taking in the spectacular views. Find out more about Creekbend here.